1903 #2 Liberty V Nickel . 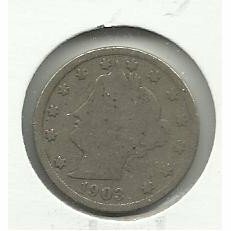 1903 #2 Liberty "V" Nickel. Comes in a 2x2 coin holder. You will receive the exact coin in photo. Proof 50mm Franklin $100 Banknote 24 Kt. Gold Coin. 1897 #1 Indian Head Cent. 1968-P/D Unc. Silver in original Mint Presentation cello from the US Mint with envelope. 1880 #2 90% Silver Morgan Dollar. 1905 #12 Liberty "V" Nickel.